I am looking for any photos of Bulgarian CIVIL Lisunov Li-2 aircraft (including the TABSO aircrafts). 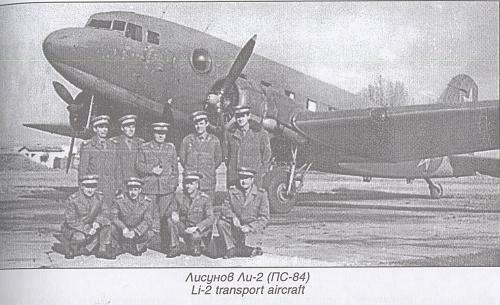 There are some photos of Bulgarian Li-2 on the Net and in the books, but those are military airplanes. I have some additional information. In first half of the Nineties, in book store, I saw some issues of Bulgarian "Mlad Konstruktor" magazine (from Year 1990-? (or 1985-?, or 1989-?) - I don't remember exactly). 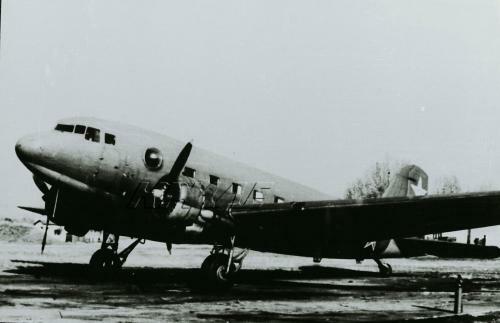 In one issue (I have not bought it) was large sheet inset, where were scale plans of Lisunov Li-2 aircraft with Bulgarian civil LZ-??? registration. 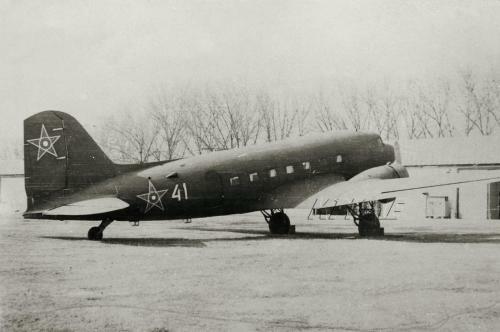 I seem, there was inscription over passenger's windows on fuselage of that Li-2, which stated about the belonging of this plane to some Youth organisation (or some other organisation ? - sadly, I don't remember exactly). Maybe, anyone of Bulgarian colleagues can to find that magazine and it's sheet inset ? Аt the moment a group of bulgarian airfans from this forum is repairing it. OK, Preslav. Thank You for the answer. But threads, that You recommended, are devoted to Il-2 Stormovik restoration (and not Li-2). It is beautiful old photo ! I like it. Thanks, Preslav, it is good job ! Thank You very much for nice image again !